Size J 6.00 mm Hook or any size to obtain gauge. 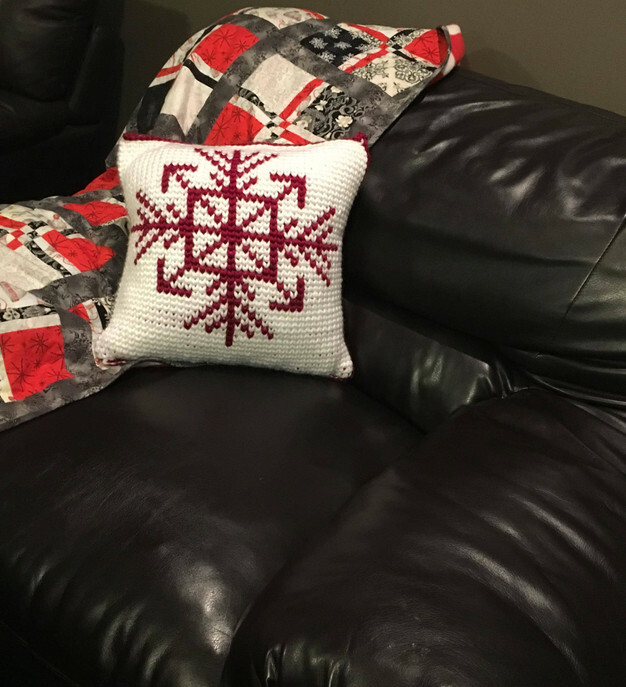 16×16 inch pillow or Poly/Fiber fill. This pattern is written in rounds. The measurements are 16×16 inches and requires approximately ~500 yards of yarn. If you are going to carry the yarn by picking it up as you go. Make sure that the yarn is carried on the WS. 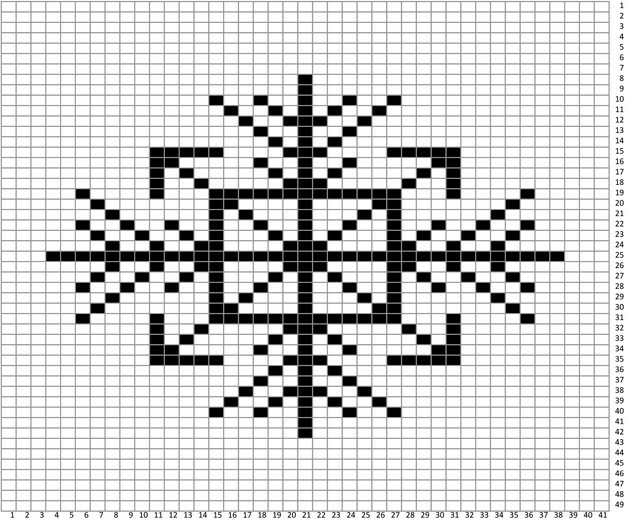 There is a graph at the end of the written pattern to help follow along if the written instructions seem confusing. To start: With CA, Make a Ch of 42. Finish off. Leave a tail long enough to sew the top shut. If you are using a pillow, place it inside the pillow. With yarn needle, sew the tail in and out of the front loop of the front side and the back loop of the back side until the top is closed. Make a knot to secure it. If you are using fiberfill, leave a small hole to stuff and finish sewing once stuffed. 4 inch x 4 inch= 19 HDC in BLO x 10 rows. The texture portion slightly leans when you are working it, that’s normal. It will even out once the ends are sewn together. I highly recommend counting the stitches in each row until you get used to the stitch placement. To Start: Make a Ch of 19. With the WS facing you, fold the glove in half so that the Ch side is lined up with the working side. Slst to join the sides together. Finish off, Weave in ends and flip gloves right-side out. To Start: Make a Ch of (23). To Start: Make a Ch of 27.